Whether it’s nail biting, smoking or snacking, nearly everyone has a habit he wishes he could change. Wendy Wood, who studies human behavior at Duke University, has found that location influences behavior. By changing locations and everyday movements, people can change their habits. Wood, James B. Duke professor of psychology and neuroscience says, “Many of our repeated behaviors are cued by everyday environments.” While people may believe they are acting independently when they make certain choices, more often than not, they are simply acting on cues that they have responded to countless times in the past. For instance, passing by the same vending machine at the same time every day can trigger the response to buy a snack. Driving by a fast food place each evening can trigger the desire to stop in for takeout. Deeply ingrained habits are very difficult to change through willpower alone. Habitual behavior can be akin to addiction and the methods to break a habit are similar to those used to break an addiction. Avoiding people, places and things that trigger the need for the undesired habit can help lessen the impulse to carry out the behavior. It also helps to be very clear about the habit that needs to change and the best method to change it. Unlike addiction, however, once an old habit is replaced by a new one, there is little chance that it will be repeated, unlike in addiction, where the odds of repeating undesirable abuses are much greater. Just as in an intervention for an addiction, enlist the help of family and friends. While it may not always be applicable, it may help to hear loved ones talk about how your habit affects them. For instance, if snacking has caused a weight problem, perhaps loved ones are consumed with worry. If smoking is the culprit, friends may be disgusted or fearful for their own health. Wood contends that by changing the situation in which a person habitually performs a behavior, it is possible to help erase a habitual action. Changing the environment that triggers a certain action can help retrain your brain to avoid the habit you want to break. Imagine a man who hopes to beat his addiction to coffee. Every morning he sits at the breakfast bar with a cup of coffee and reads the paper. If he wanted to replace his morning coffee with fruit juice, he might try taking the paper to another room instead of the place where he habitually drinks coffee. By changing the situation, he can help retrain his habits. Habits are hard to change but it can be done with planning, discipline and willpower. Try altering the situation associated with an undesirable behavior to help create a new model for how to behave. And if it doesn’t work the first time, keep trying. 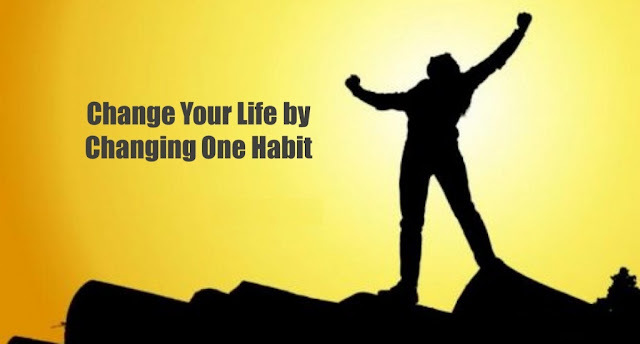 It took a long time to create a habit and it may take a few weeks to retrain your brain to act in a new way.